Are you looking for a better way to train? Or maybe you're just getting started for the very first time? 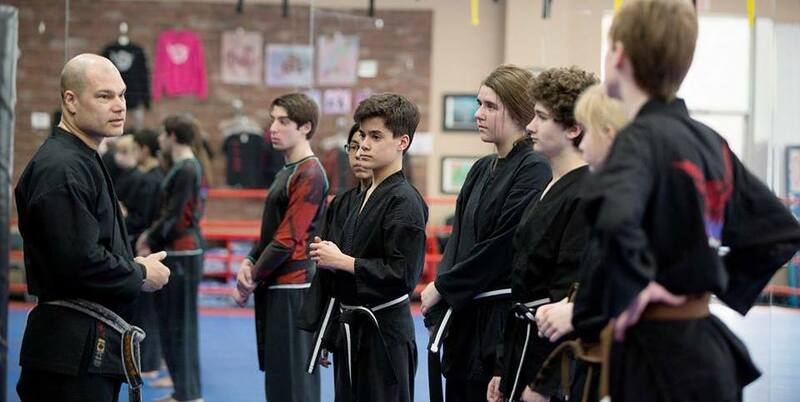 Don't miss out on the best Adult Martial Arts Classes in Bedford Hills. At Marti Martial Arts Academy, we are offering you a better way to get in shape while also teaching you important self-defense skills and keeping you motivated week in and week out. Adult Martial Arts classes are about more than just punches and kicks. They're about combining the mental, physical, and spiritual elements of each discipline into one streamlined approach. See the difference today! You don't have to feel boxed in by one discipline or system. At Marti Martial Arts Academy, we're proud to offer multiple classes and levels of instruction depending on your interests and experience. No one gets excited about the treadmill. But at Marti Martial Arts Academy, you'll be excited every time you walk through the door. That's because our classes are constantly changing, pushing you to get better week after week. We offer our adult students and easy to follow belt progression system that helps you enjoy sustainable growth no matter where you're starting from. Ready To Get Started? Join Us Today For The Best Adult Martial Arts In Town! Join us today at Marti Martial Arts Academy for the best Adult Martial Arts classes for the Bedford and Mt. Kisco communities. We'll help you get stronger, fitter, and more confident in no time. All you have to do is fill out the short form on your screen now!